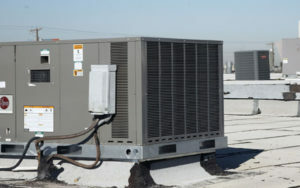 Indoor air quality is becoming an increasingly important issue with businesses around the world. With every year that passes, businesses rely more and more on electronic devices which need optimum temperature controls. In addition to this, overall health quality is directly tied into an office or business environmental system. No matter what the season, your business demands a reliable, efficient HVAC system that consistently maintains these controls. At United Heating and Air Conditioning, we know what it takes to provide our customers with an efficient indoor environmental system that provides efficient heating and cooling, and equally as important, contributes in a positive way to your company’s bottom line. Clean indoor air with an optimum control system, and smaller energy costs are always the goal for all of our customers, no matter what the industry or facility. Let us show you Reduced energy bills and clean indoor air is the ultimate goal for all facilities. Let us show you how we can provide you with highly efficient HVAC systems that will keep your employees, customers, and even your computer devices comfortable while at the same time, contributing to the health of your bottom line!